One desk, two people, worlds apart. Tenley Roth is an author, following in her father footsteps. 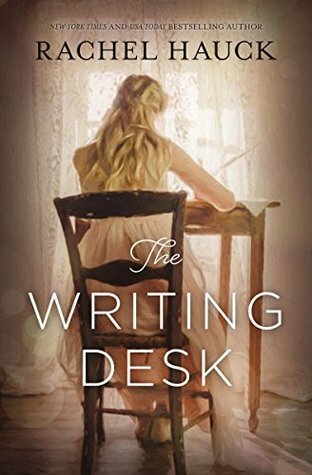 Her novel was a huge success with the pressure mounting for her second novel and the deadline drawing closer things are getting tough for Tenley. Then when she receives a phone call from her mother who she is not close with asking her to nurse her through her chemo, Tenley takes off to Florida, where she meets a handsome furniture designer and all of a sudden she has everything she needs for her second novel. In another world, Birdie born during the Gilded age into old money dreams of being a writer, however, her controlling mother has other plans for Birdies future. Right down to who Birdie will marry. Can Birdie escape her mother's clutches and live her own life or will she be destined to live the life her mother chose? I got this book from NetGalley in exchange for an honest review, well, unfortunately, I just could not get into this book, no matter how hard I tried. It was just not grabbing my attention. I wasn't enjoying how it flicked from Tenley to Birdie and back again, normally I don't have a problem with books like this but I couldn't seem to get on with this one. So I am unable to give a complete review as I did not finish the book. I have chosen to give this book a single star as I didn't finish it and I would not recommend it to anybody.